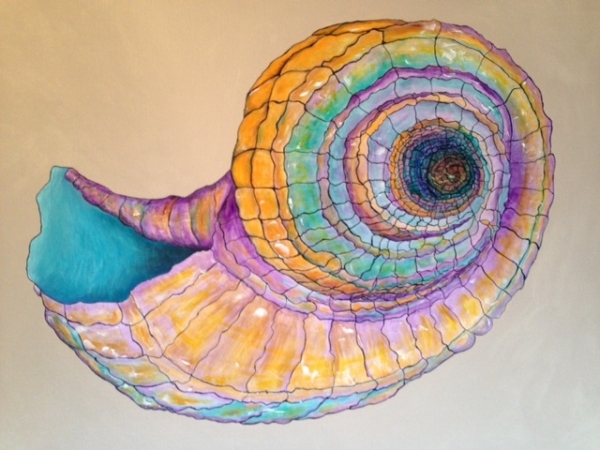 Abalone color Acrylics and Gel medium was used to make this huge abstract shell. My fellow artist and I set out to paint shells. This is what came out.